Lithopoetics was my first album with any Buchla recordings, but just a smattering. 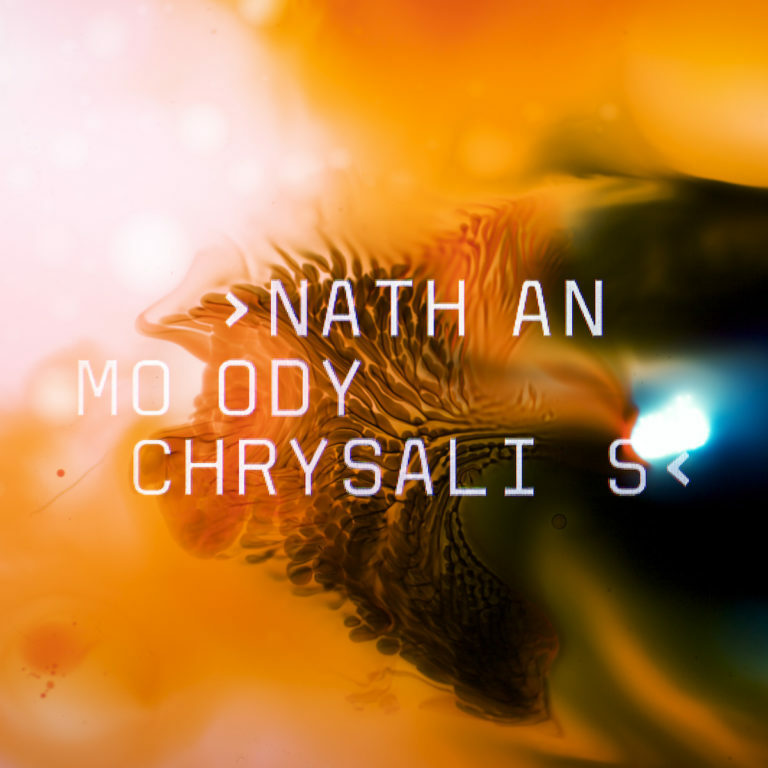 After almost six months away from the instrument while working on other projects, it was literally a single touch on the Buchla for old times’ sake that resulted in Chrysalis. It was recorded, mixed, and mastered in two days, working nearly non-stop. Yet the sessions happened in a deep state of flow, never feeling rushed. A wide mix of emotions clearly needed to be expressed; sometimes when one goes through big transitions, one needs some distance before analysis or expression of those experiences is possible. The primary instrument – probably 80% of the material in the piece – was a Buchla modular synthesizer. 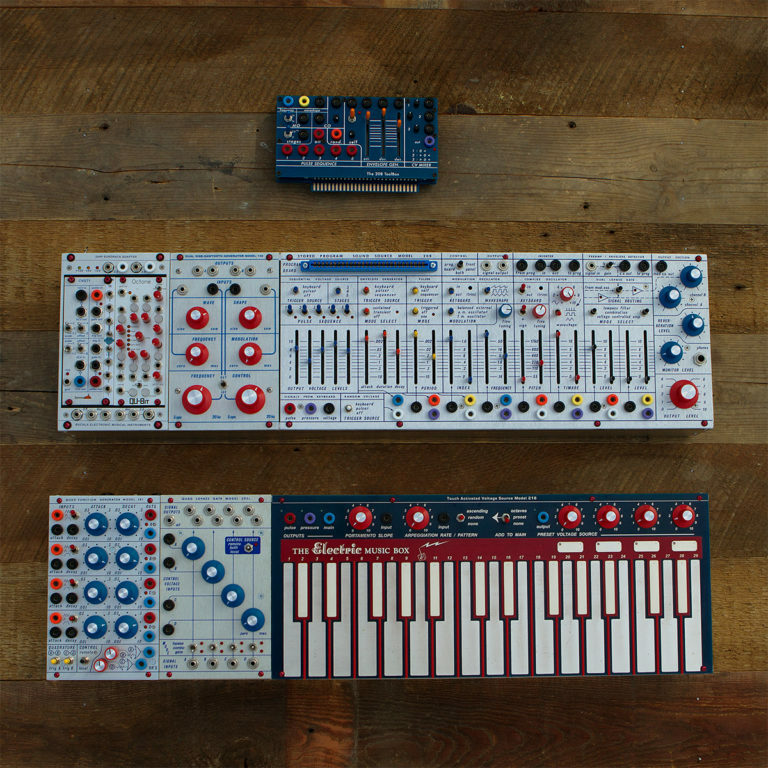 Ostensibly it’s a Buchla Music Easel: A 218e touch plate keyboard and a 208r voice module. But I also added several clone modules: the Buchla 158 oscillator, the 281 quad function (envelope) generator, and the 292c quad low pass gate module. The piece was recorded in layers, but each layer was recorded live as 3-8 minute improvisations, with no editing of any layer. What you’re hearing is multiple live takes layered together, warts and all. The tempo changes several times throughout the piece, and the key changes about midway from B minor to D# minor. There was a lot of live playing of keyboards without sync or MIDI. To fill in the other timbres that I felt were needed, I used the Dave Smith Instruments OB-6 desktop sound module and the SOMA Labs Lyra-8 synthesizer. The piece ends with a field recording of a campfire deep in the Sierra Nevada mountains of northern California. Anyone who’s used the Buchla Music Easel – the components of which comprise my synthesizer in this format – knows its Pulser can be questionable in terms of clocking consistency and accuracy. 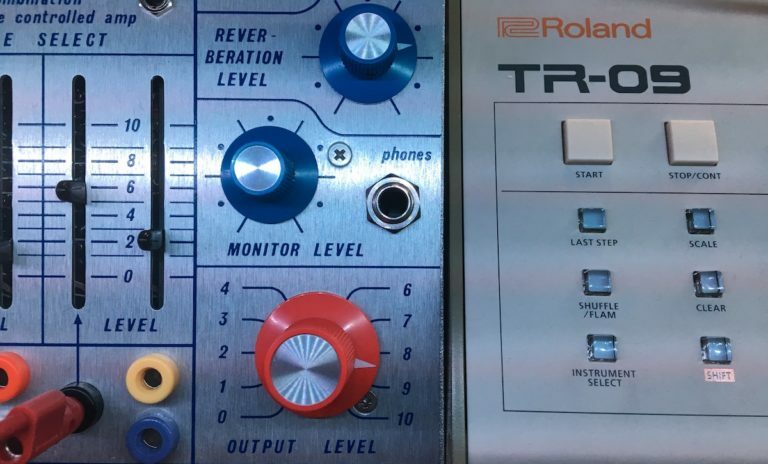 A lot of the tracks were externally clocked, and even sequenced, by the Roland TR-09 drum machine (via a Low Gain Electronics UTL 1/2 format converter), despite the fact that there are no drum sounds in the piece (other than what the Buchla generated). The 218e keyboard used has no MIDI input, so this was the only external sync method used. What I found so engaging about this setup was that it allowed for sequencing, playing by hand, and the ability to play a bassline and a melody at the same time, whether through the 218e keyboard or through multiple instruments. This let me express and articulate melodies and chord progressions improvisational. One trick I’ve come to really enjoy is to use a high-speed trilling arpeggiator that is not tied to the main tempo, but revealed through amplitude envelopes that are clocked. You hear this in the next-to-last movement of the piece. I think the predictability of hearing the notes, but not knowing which trills or notes you’ll hear, is lovely. This recording was recorded layer by layer within two days, from initial recording to mastering. About 30 tracks were recorded in real time, with little in the way of formal sync. The Buchla Music Easel – at least in its clone 200-series form, as opposed to newer units made by BEMI or Buchla USA – has so much low end as to be an annoyance. Even high melody lines can have floor-shaking fundamentals. While that sounds badass, it makes mixing and mastering a real problem. I think every single Buchla track was high pass filtered for clarity and headroom. Due to budget, I had to master this release myself. I used an all analogue outboard signal chain with both tube EQ and tube compression, as I did with the Études series, along with a good amount of mid/side EQ to focus the bass tones in the center of the stereo image. This release represents my tenth full-length electronic album (my ninth under my own name), over a twenty year career of music-making. My next release will feature no synths at all. So, yeah. You’re going to want to stick around. It’s gonna get weird.